Trying for a baby to no avail comes with lots of anxiety which often leaves waiting couples emotionally drained and overwhelmed. 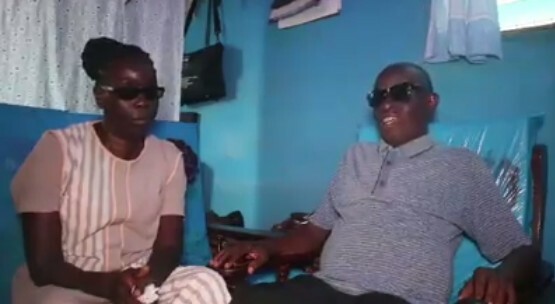 Such is the case for this resilient couple, Arnold Henry, and Stephora. At 10 weeks, the couple, who are already parents to a little boy, lost their identical twins and after the unfortunate incident, the duo lost all hope in becoming parents again. They shared their sad experience with their friends and were able to get so much support from people who had experienced a miscarriage in the past. Interestingly, they began to heal through this process and their hope was restored. Fast forward to three years later, Arnold who is the author of children’s book @daddysminime and his wife are expecting again. 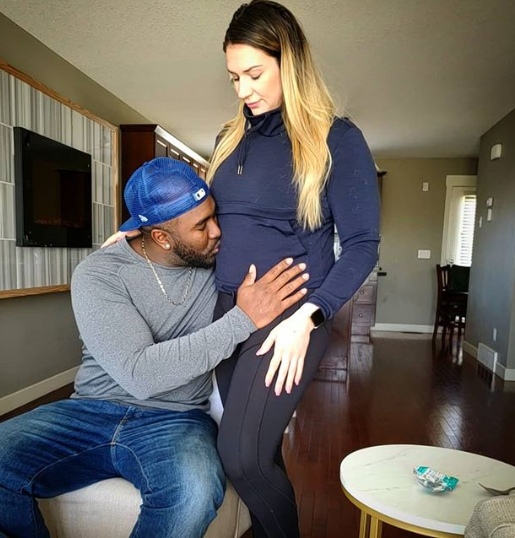 Arnold, a former basketball player who couldn’t contain his joy took to Instagram to announce the exciting news. The expecting dad also took time to narrate their inspiring journey. ”Our family is so excited to announce that we are expecting baby #2 after 3 years of trying and never giving up hope! After the loss of our identical twins at only 10 weeks, it was extremely difficult for my wife and I to move forward. We were scared and confused. What if it happened again? What if we never got pregnant again? I remembered we shared that taboo topic with friends and had received so much support from people who had experienced a miscarriage in the past. Their stories were inspiring, uplifting and encouraging. We weren’t alone in this world. We held on to that. Months passed and nothing was happening. We questioned each other. Then, our son had some questions too. Mommy, Daddy, can I get a little brother or sister? But little did he know, we have been trying and trying. Any hint of pregnancy, my wife bought another First Response Pregnancy Test. We desperately wanted another baby. At one point, we said to each other, maybe we’re only suppose to have one child. January 2019, while I was on a video call with my illustrator to discuss my next children’s book, my wife whispered my name. I looked. She was shaking, in tears, holding one of the many pregnancy tests. I already knew what that meant. “Are you fking serious?” I cried, squeezing her tightly before looking at the results. She was pregnant with our baby. For the past few weeks, we kept it a secret because we had to be sure this time. Today, we had our 12 week ultrasound check up and the doctor told us that our baby is looking great. We are content and excited for this new journey. ”Daddy, Mommy, I want a sister. Daddy, Mommy, I want a brother. Daddy, Mommy, will I ever be a big brother? Daddy, Mommy, I wish I had a brother or sister to play with me. Real questions from my son after we had promised him 2 brothers or sisters, when we were expecting the identical twins. How did we explain to our son that they were never coming? We never did. We thought time will allow him to forget. But he never did. For 3 years, our son wondered when he will become a big brother. It killed us every time he uttered these words. And whenever he played with toys by himself. My wife was one of 3 children. My mother also had 3 children. My son plays with his 3 cousins (my wife’s brothers kids) quite often and he doesn’t understand why he can’t have siblings like them. Both my wife and I knew these questions would arise. Siblings have been so important in our own lives that we wanted the same for our son. We just kept our faith and hoped that ours and son’s dreams would come true. He deserved it. He would say things like, “I will share all my toys and clothes with my brother or sister.” Or, he would dress up with his superhero costume (Dash from The Incredible) and says and demonstrates how he would be the best protective big brother. My wife and I knew that he would be the best big brother ever. Congratulations to the Arnold family! #tbt 3 years ago, I recited a miscarriage tribute (poem) to our identical twin angels. One of my favorite lines, "Hopefully, the future can restore the damage caused by the miscarriage." • Although we will never fully heal from our losses, knowing that we are expecting a rainbow baby brings much needed comfort and happiness to our home. • Spilling my raw emotions on paper was one of the ways I was able to cope with the pain. Writing has always been self therapeutic. This video has been on my YouTube channel ever since, dedicated to families who have suffered pregnancy loss. I'm sharing it again, in hopes that my words can resonate with other families so they will understand that they don't have to suffer all alone.